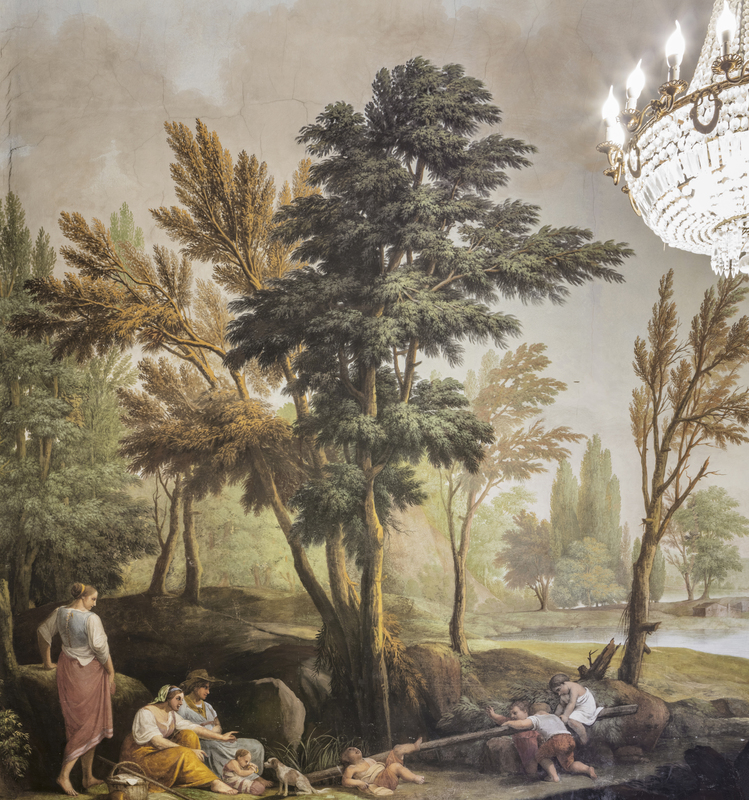 The lounge, frescoed by Niccolò Contestabile (Pontremoli 1759 - Florence 1824), was used as a “dining room” in the royal apartments. On the walls and on the vault ideal rural landscapes are represented. Above the doors there are friezes portraying ruins with Putti: between two windows a bas relief with two female figures carrying a Byzantine capital with a seated Cupid is centered. The model for these patterns representing ruins is the French draftsman Clerisseau (who likewise took inspiration from Piranesi’s vagaries). The artist, together with the North-Italian Ignazio Moder, represents in this case a rare example of parietal decorative illusionism, while in other areas of Italy, like in the Veneto region, it is used quite often.